We’re looking for people to host Jason Narducy Living Room Shows in July. These shows are hosted in private spaces and limited to 40-50 people. Please read details below and get in touch right away if you are in or near one of these cities and can host a show. 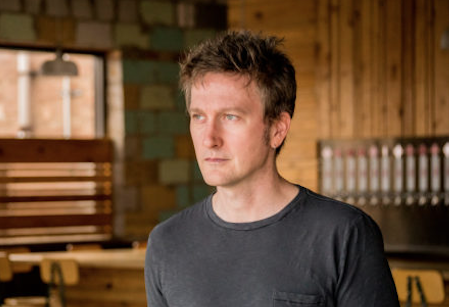 Jason is the bassist for punk rock legend Bob Mould and indie rock stalwarts, Superchunk, and has appeared on late night television shows such as David Letterman, Stephen Colbert, Conan O’Brien, and Jimmy Kimmel. He has performed on stage with artists such as Eddie Vedder, Cheap Trick, Robert Pollard, and Ryan Adams. Jason sang the national anthem at a Bulls game, sang a duet with jazz artist Patricia Barber on her Blue Note Records debut, and has repeatedly lost guitar picks under the couch. When Jason isn’t touring with Bob Mould or Superchunk, he focuses on his band Split Single instead of his family and children. Jason has a comedy series on Youtube called “The Sexiest Elbows In Rock Music”. It stars Jason with Fred Armisen, Dave Grohl, Britt Daniel, Tim Meadows, Michael Shannon, Jeff Tweedy, and many more. – b. A few photos of your space. – c. Please put “Jason Narducy” and your city in the subject line. 1. You have a big house, loft space, community space, art gallery, yoga studio, recording studio, coffee shop or other space where we can do a private show that can comfortably and safely host 40-50 people. There needs to be street parking, parking garage or public transportation nearby and your neighbors should be cool. It would be a huge bummer if someone called the cops because of all the extra cars and people coming to your place. You probably shouldn’t do this if you live in a tiny apartment with a bunch of uptight neighbors or a cranky landlord. Be realistic on how many people your place can hold. We need to know how many tickets we can sell in advance. Sorry, we can’t do these shows outside. 6. The shows will promoted on our websites, Facebook, Twitter, Instagram and word-of-mouth. 8. You don’t need any sort of sound system. Jason will bring a small PA.
9. It would be great if you had some kind of ambient lighting like a lamp on coffee table, floor lamp, or overhead lights with a dimmer to help create a cozy mood. 10. It would be great if you had a bunch of chairs for everyone but it’s not required. Some shows are are a mix of seats and floor seating. We can let guests know they should bring a cushion or pillow to sit on during the show if you don’t have seats for everyone. 11. There will be no opening acts on the living room shows. 12. We love dogs and cats… we really do! But an excitable pet running around during the show can be distracting for the guests and performers. If you have curious and friendly 4-legged family members, would you be ok with putting them in another part of the house or sending them to a friend’s house during the show?